2013 Softball Seniors (L-R): Taylor Harness, Rachel Griffin, Micaela Norris, and Allison Lang. 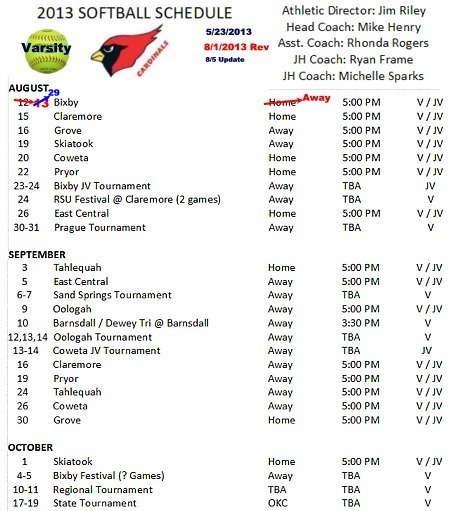 Check back later for photos from varsity game -vs- Claremore (8/15) and field work day (8/17) -- Ted -- (I'm running several days behind with first week of school activities). I will also try to get JrHi team photo when I can. 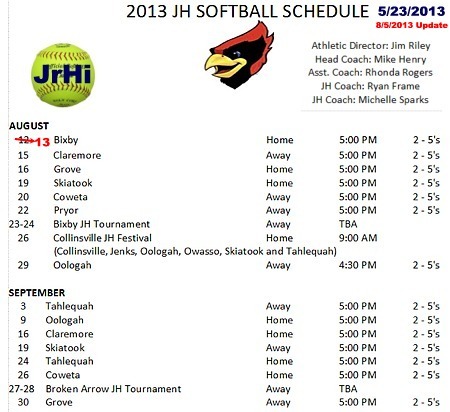 First home game was cancelled and I need to be in 3 different places at once today (8/19) so will miss the JrHi -vs- Skiatook. Just a few of the first week of school activities.